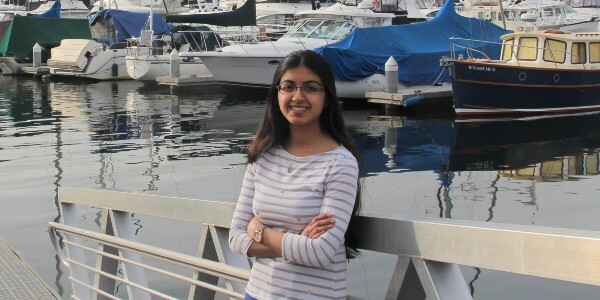 Ankita Joshi is an undergraduate senior in bioengineering pursuing the team design capstone track. For her capstone project, she is improving tourniquet design under the guidance of Dr. Nathan White at Harborview Medical Center. Outside of school, Ankita is a co-leader of BioExplore, COPE Health Scholar at Swedish Medical Center and member of the BioE curriculum committee. After graduation, she is planning to apply to medical school. “I’m really glad that I joined BioE because of its cohort system. It helped me get out of my shell a little more. I felt pretty isolated during my first two years of college just because of the big class sizes and not really knowing how to make friends. With BioE being so small and everyone taking classes together, it was a lot easier to study with people and get to know them. This was a turning point for me in college. I was suffering from a bit of depression in high school, and it carried into college. In college, I was also very anxious about getting into BioE. On top of that, I did not make many attempts to get to know people. Whenever there were opportunities to get involved in a club or some sort of leadership opportunity, I never pursued them. I thought, ‘I am not going to get in anyway.’ So for the first two years of college, I mostly just kept to myself and kept myself busy with school work. I ended up getting very good grades and getting into the major. But it came at the cost of mental health. In the first quarter of BioE core, I started meeting other people in the major through office hours, group projects, and studying together. And I realized that my isolation was self-imposed, that I was using my lack of confidence as an excuse to not meet people. It was a vicious cycle where my isolation and lack of confidence fed into each other. I realized that feeling connected is not as difficult as I made it out to be, especially when we spend so much time studying and hanging out with our classmates in BioE.